ColourPop has long been one of my favorite affordable makeup brands, and KathleenLights has long been one of my favorite YouTubers. Her collaboration with ColourPop has created a stunning quad of matte and shimmer super shock shades named "Where The Light Is", perfect for giving your eyes a POP of color! 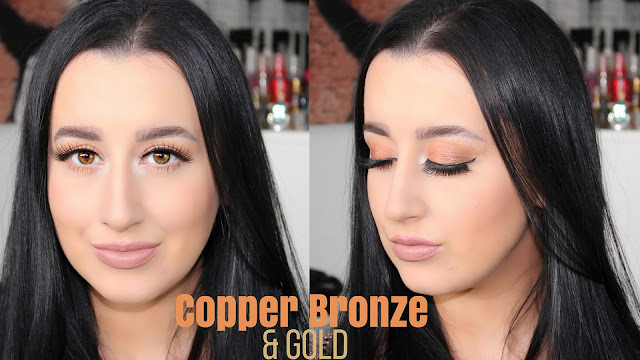 This look uses every one of the quad's shades to create this glowing copper bronze and gold makeup look. This has to be one of my favorite makeup tutorials created on my YouTube channel thus far. It perfectly compliments many different skin tones and is absolutely radiating with bronzed beauty!